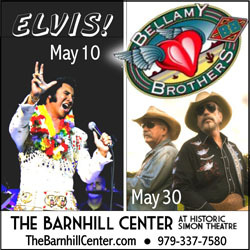 Downtown Brenham is preparing to dance the night away Saturday night, with “Cool Nights, Hot Tunes”. The popular Austin band “Suede” will be performing on stage at the corner of Alamo and Baylor Streets from 7 to 10 p.m. Families are invited to bring their lawns chairs and blankets to the courthouse square and enjoy the free concert. Main Street Manager Caz Muske says for those who are familiar with the popular “Hot Nights, Cool Tunes” series, this setup will be very similar. Sponsors of this event are J & A Roofing, Brenham National Bank, Hermann Furniture, and the Texas Arts and Music Festival. To learn more, visit www.downtownbrenham.com, or the Downtown Brenham Facebook page. 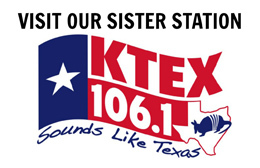 KTEX-106’s Cactus Ken Murray will be emceeing Saturday night’s concert. Written by: Josh Blaschke on April 10, 2019. Businesses; we all pay the same property tax rate on the square. But the music is never on the Main Street side. Why is that? Since you didn’t provide a real email, I was unable to answer your question directly. The stage for “Hot Nights, Cool Tunes”, and for this Saturday’s “Cool Nights, Hot Tunes” is set up at the intersection of Alamo and Baylor. The utilities needed for sound and lighting are already provided at that intersection. Main Street Brenham actually looked at doing this Saturday’s concert at the intersection of Main and Baylor. Unfortunately, the utilities are not available at that location….and adding them would cost many thousands of dollars. Main Street is currently planning a fall event that will be held on Main Street. More details will be provided soon. Very well said Tom! I’ve never been but heard the turnout is great and hear nothing bad about the FREE concerts! You just can’t please everyone but I want to thank the sponsors who support this every year and don’t ask for nothing in return! Just be HAPPY because life is too short to be a complainer! 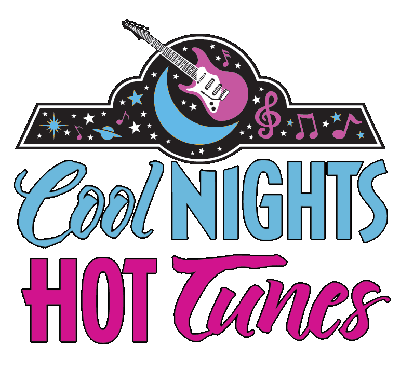 I always thought it was called “Hot Nights, Cool Tunes”?? That’s what the summertime concert series is called. Those are all on Saturdays in July.